Wayne Tew retired in 2015 after 29 years as President and CEO of Clark County Credit Union. He also served on a number of industry related boards during his career. Currently, Wayne is a co-owner of Ultimate Collision Repair Centers in Las Vegas and manages Tew Investments LLC, a personal company for real estate and angel investments. 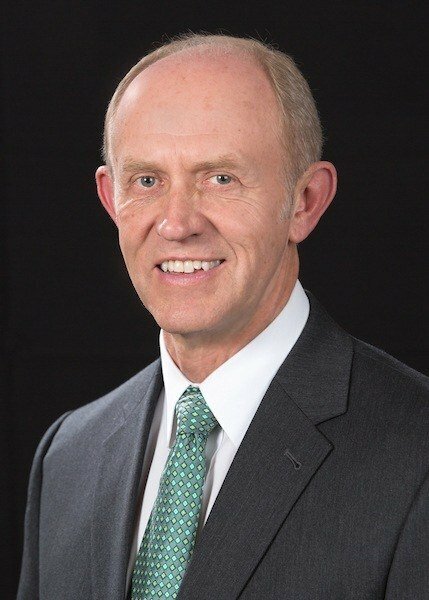 Active in not-for-profit organizations, Wayne is Chairman of the Board of The International Organization for the Family, a board member of Hope for Prisoners, an advisory member of BYU’s Center for Law and Religion, and member of Nevada Capital Investment Corporation, a committee serving with the Nevada State Treasurer’s office. He previously served on the Executive Board of the Las Vegas Area Council of the Boy Scouts of America and is a recipient of the Silver Beaver Award. Wayne was active with the Vegas Valley Angels for over ten years. He also serves on the Board for Dymicron, a R&D company specializing products from industrial diamond for medical devices. Active in the LDS church, Wayne is a former stake president and bishop and is in his 8th year as an early morning seminary instructor. As a CPA, Wayne received his Master’s of Accountancy (MAcc) from Brigham Young University. In his spare time, Wayne loves to travel, play racquet sports, scuba dive, work out, hike and spend time with his wife and 15 grandchildren.